Introducing John Retreat Foundation International USA, Inc.
John Retreat Foundation International USA, Inc. is a vital 501(c)(3) nonprofit organization that attempts to moderate the negative impacts of apathy and lack of available outreach services for the vulnerable population of Cameroon and beyond. Our organization’s projects, implemented by a well-trained staff, will offer many opportunities for the reduction of depravity and poverty through needed intervention. Supporting the development of mind, body, and soul, John Retreat Foundation International USA, Inc. provides as many individuals as possible with a thorough foundation for future success. 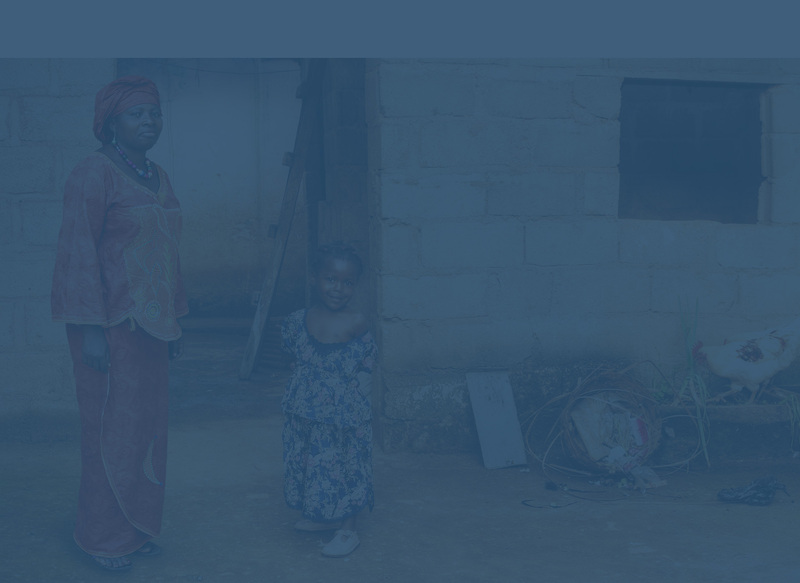 Recognizing the needs that exist among our target population, John Retreat Foundation International USA, Inc.’s staff will provide individuals residing in Cameroon with access to a multipurpose center that focuses on individual empowerment. Throughout implementation of the proposed activities, our organization will continue to address the needs of our target communities, to brighten lives, and to assist each participant achieve their personal goals. Our organization’s objectives are accomplished by implementation of stimulating activities and materials that are organized around a well-developed prospectus. At an estimated population of 23.3 million people, Cameroon is currently the 54th most populous nation in the world. The country’s population is growing at a rapid pace, adding some two million people every year. Experts are warning the African nation is not prepared to handle the consequences of such a population boom. The international community needs to recognize that the humanitarian challenges in Cameroon will require years to resolve. Drought and famine continue to plague the country, and although the government is investing a considerable amount of resources for social services, this is being neutralized by the number of individuals needing services. As a result, a number of important development issues remain in Cameroon: food security, basic infrastructure, healthcare, and education. These issues have lead to lower life expectancy rates, lower adult literacy and school enrollment rates, and a standard of living much lower than that of the rest of the world. Food insecurity remains the greatest concern in Cameroon, with UN estimates suggesting that over half the population receive below the minimum nutritional requirement. While the country continues to suffer the ravages of successive droughts and flood, and has received millions of dollars in emergency food aid since the severe famines in 1984, the root causes of hunger and poverty-insecure and inadequate land tenure and lack of investment in rural infrastructure- have not been adequately addressed. The dominance of emergency aid rather than development aid has contributed to difficulties so far in finding solutions with sustainable impact. Our current efforts are focused on addressing the critical need for a fully functional multipurpose facility within the community of Tuseh, Meta Momo Division NWR Cameron, Africa. John Retreat Foundation International USA, Inc. has become the proud recipient of two hundred acres of land that were generously donated by John Ticha and Ma Salome Ticha for the purpose of creating a center that will provide lifelong educational services and support for men and women of all ages and economic standing. Our directors believe that it is imperative that we go back to basic, the beginning; from how we were created and implement the strategies God has created from inception to develop our baby geniuses for the future. In so doing, we will begin a process for a generation of geniuses so that our rural families, leaders, villages rural communities, regions and our nation can begin a new path of sustainable economic growth and development. Genesis 1: God created Adam out of the dust of the ground…. Multiply and be fruitful. In the process of developing our children, rural families, and community leaders into self-sufficient members of society, we must also adhere to the sanctity of life and instill in our children the Word of God and the reverence for life because we were made in the image of God. We must always affirm our children by using the Word of God to speak positively (prophetically) into their lives, while walking in the footsteps of God our creator who “Spoke” and the world was created. Our representatives are currently seeking the support required to begin construction of the facility and to have all proposed services fully operational by October of 2016. Our modern and fully equipped center will include a Regional Cultural and Exchange Department, Recreational Facilities, Adult and Community Literacy Department, Women and Girls Department, Vocational Training Center, Farmer’s Markets, access to clean water, Computer Labs, and a Food Bank Center for economically vulnerable community members. In order to reach our target demographic in the most efficient manner possible, our directors will also utilize a portion of the funding obtained to construct public roads and bridges that will enable families to visit the center for their education, health, social, and employment needs. To build a community center requires hiring an architect that has previous experience in planning and developing a large community center. The architect that we hire will also be experienced with laws and regulations that will be required for inspection by the local government. John Retreat Foundation International USA, Inc. not only cares about the health and well-being of our community’s residents, but the environment as well. Therefore our goal is to build a facility that will operate in the most Eco-friendly manner as possible. Our aspiration is to run a center efficiently, resulting in further cost-effectiveness, while also reducing our footprint on the environment. Our activities will be overseen by a group of well-qualified individuals. Our diverse staff members have ties to the community, and thus possess the unique ability to relate to the target demographic. Additionally, our Board of Directors is comprised of a professional group of talented individuals who are dedicated to committing their time and resources to building a stronger community.